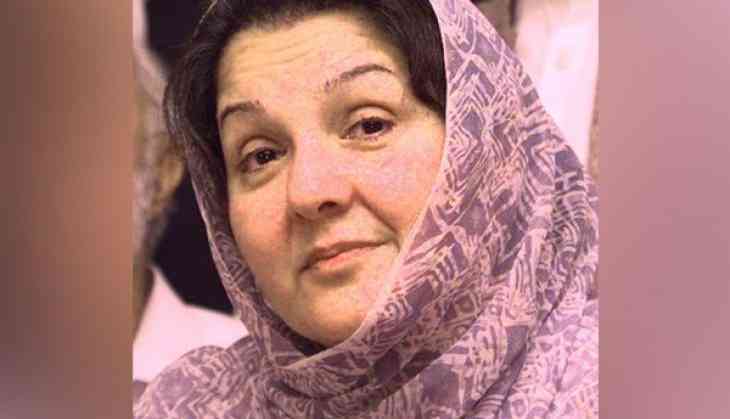 Former prime minister Nawaz Sharif’s wife Begum Kulsoom Nawaz has died of cancer in London’s Harley Street clinic today. Begum Kulsoom had been battling with lymphoma (throat) cancer since August 2017. According to reports, her health deteriorated last night after which she was placed on life support earlier today. Leaders of all political parties, politicians, journalists and celebrities from all over the world have extended sorrow and grief over the sad demise of the former first lady. Prime Minister Imran Khan in his message expressed deep sorrow and grief over Kulsoom’s death and said her family and heirs would be provided with all facilities as per law. Chief of Army Staff General Qamar Javed Bajwa has also extended ‘his grief and heartfelt condolences’ to the Sharif family. President Arif Alvi also offered condolences and prayed for the departed soul. Other politicians and journalists took to Twitter to offer condolences to the Sharif family for their loss. May Begum Kulsoom Nawaz rest in peace and may Allah give her family solace. She was a brave and dignified lady. It is tragic that her husband and daughter were prevented from being with her when she needed them most. So sad so unfortunate Begum Kulsoom Nawaz death . My condolence with the family .Imran khan Govt must release Nawaz and Maryam on Parole without delay . Deeply saddened to hear the news of Begum Kulsoom Nawaz's passing. May ALLAH rest her soul in peace and give enough strength to family to cope with this huge loss.